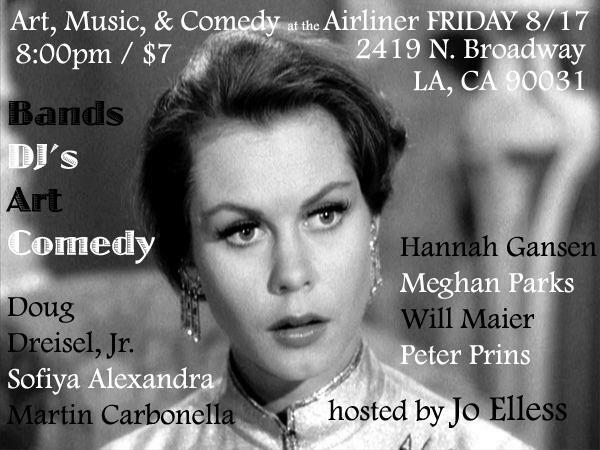 The Airliner‘s Art, Music, and Comedy Show returns next FRIDAY AUGUST 17th at 8pm! 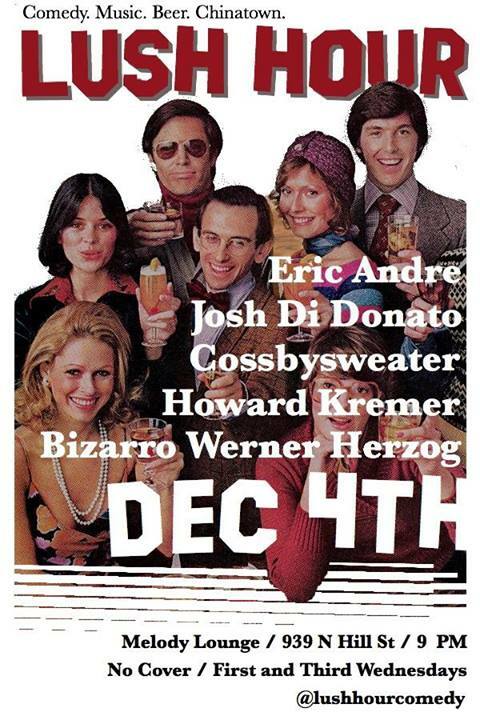 $7 / bands / comedy / photography / paintings / DJ’s … 2419 N. Broadway in Lincoln Heights. — with Martin Carbonella, Doug Driesel Jr., Sofiya Alexandra, Meghan Parks, Peter Prins, Hannah Gansen, William Maier and Jo Elless. 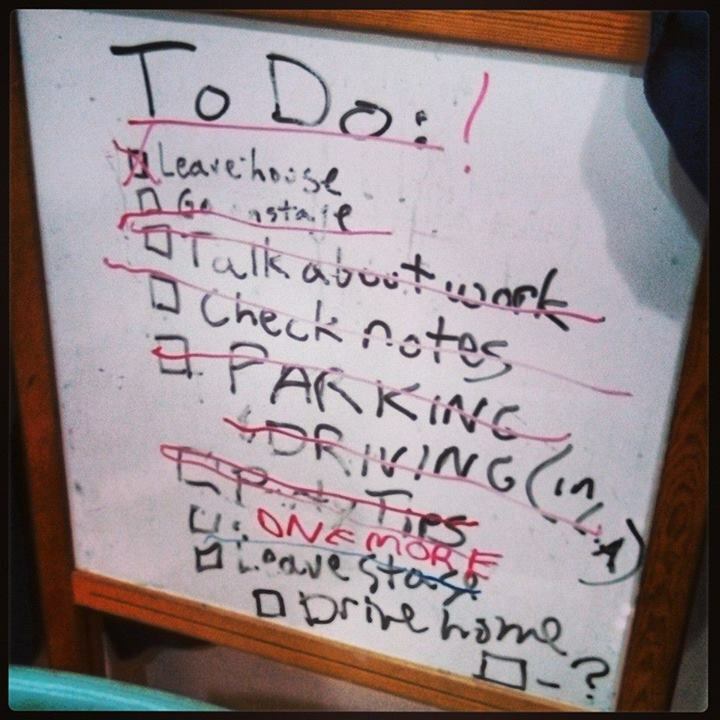 This entry was posted in show, Shows, standup and tagged 2012shows, shows-08-2012 on August 7, 2012 by wmaierica. 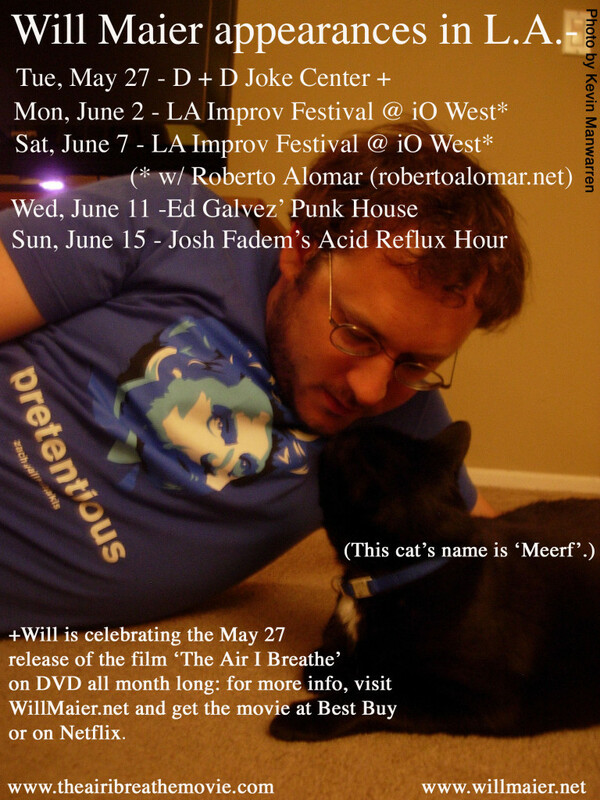 Shows in June 2008: Stand-up, Improv. 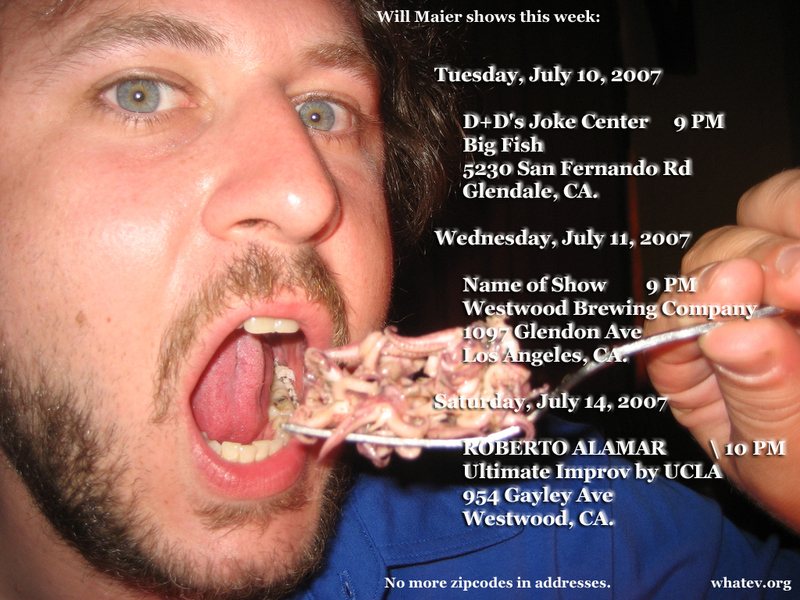 This entry was posted in improv, show list, Shows, standup and tagged 2008shows, shows-06-2008 on June 1, 2008 by wmaierica. Shows in July 2007: Stand-up, Improv. This entry was posted in show list, Shows, standup and tagged 2007shows, shows-07-2007 on July 1, 2007 by wmaierica. 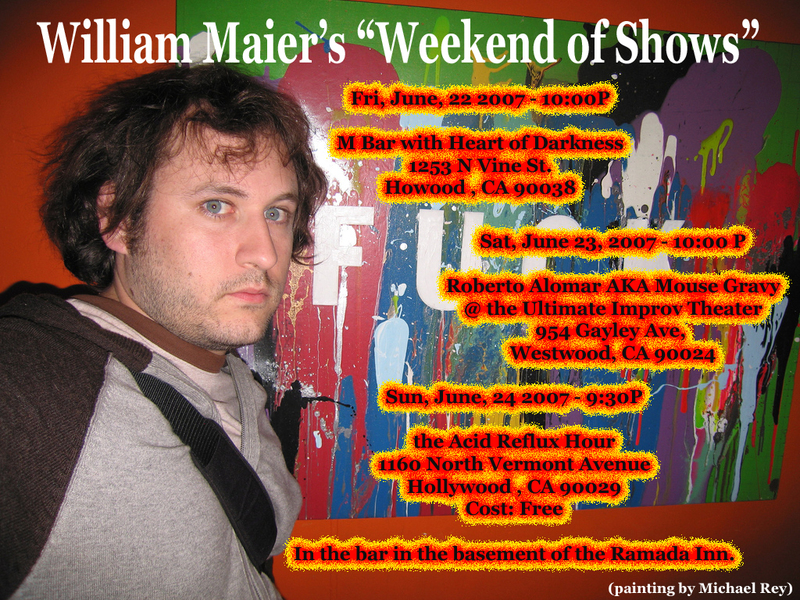 Shows in June 2007: Stand-up, Improv. 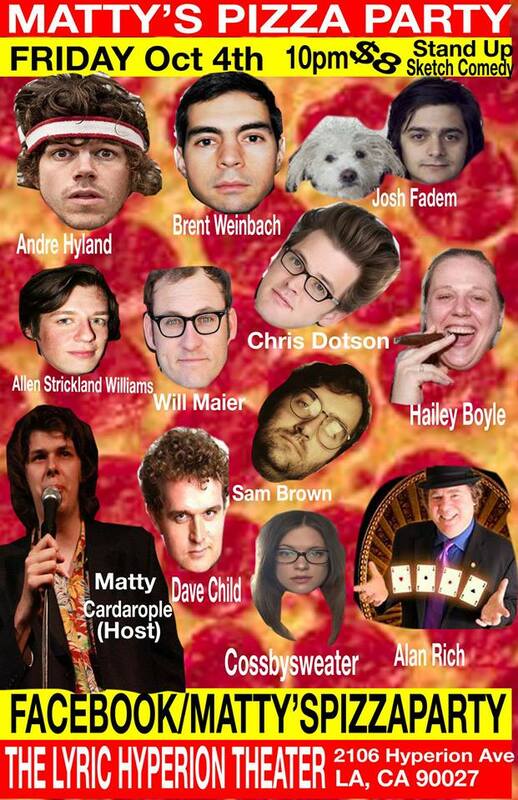 This entry was posted in improv, show list, Shows, standup on June 1, 2007 by wmaierica.